The new GPS navigation systems assist St John's to attend an accident or emergency faster than before. All of St. John’s operational vehicles have had Navman GPS navigation systems installed in them thanks to the Freemasons. 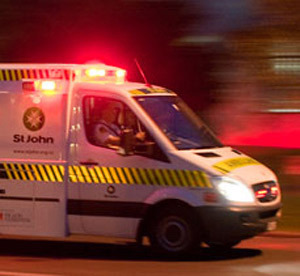 With a value of NZ$125,000, the Navman global positioning system (GPS) devices have been fitted into the fleet of 500 ambulances, plus 100 support vehicles, currently operated by St. John from 193 ambulance stations around New Zealand. 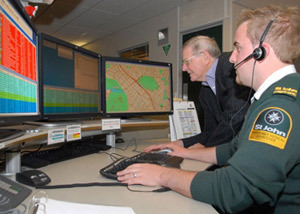 St. John’s Chief Executive James Wood announced, “The introduction of these navigation units provide St. John crews with route maps and directions in real-time, assisting ambulance officers to find the fastest route to emergencies and call-outs. Mr. Wood described that the training of ambulance officers in the use of the navigation devices was straight-forward, “We began to see benefits from this new technology immediately,” he said. “This very generous gesture from the Freemasons helps us get to distressed people quicker – in situations where every minute counts. 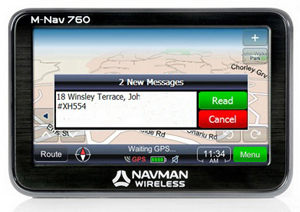 Some people in Christchurch found the Freemasons’ gift of Navman GPS devices to St. John’s Ambulance to be a gift of life. President of the Freemasons Charity, Mark Winger explained, “The Navman navigation devices use NZ Automobile Association data and can identify roads congested or under repair and can work out the quickest route. With the addition of this GPS technology – used in conjunction with radio contact and local knowledge - we know that valuable time will be saved in ambulances responding to accidents and emergencies. The GPS systems enable the controllers at St. John pinpoint a crew’s location exactly. During last year’s terrible earthquake in Christchurch, the Navman GPS devices more than paid for themselves; assisting St. John’s Ambulance crews (many of whom where from out-of-town) navigate their way around flooded streets and roads blocked with rubble. Feedback from the crews informed us that there was no doubt that the new devices saved lives.